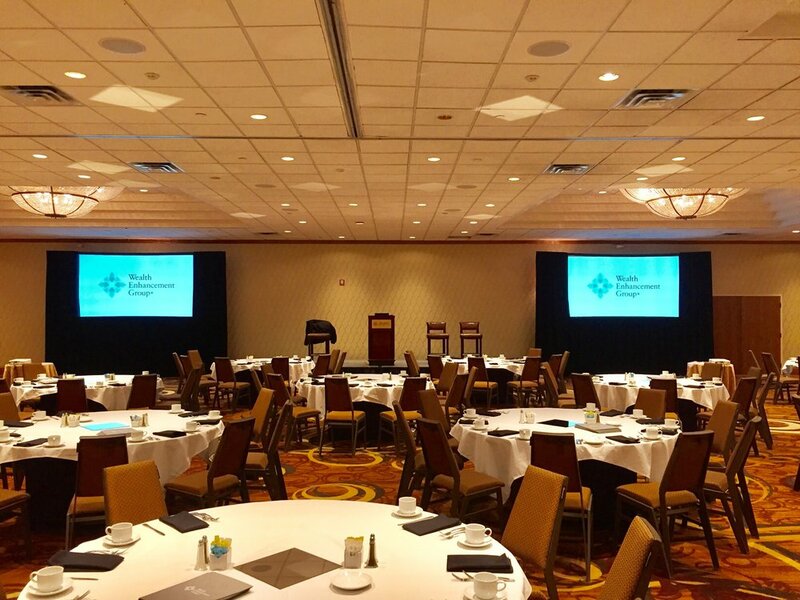 AV for You provided audio and video for Wealth Enhancement Group at Sheraton Minneapolis West in Minnetonka, MN. For audio rental equipment we provided four Shure Lavalier Wireless Microphone Kits and one Shure Handheld Wireless Microphone Kit. We also set up our Mackie 1402-VLZ4 14 Channel Mixer. For video rental equipment we set up two of our Draper 5.75’ x 10’ Fastfold Screens.